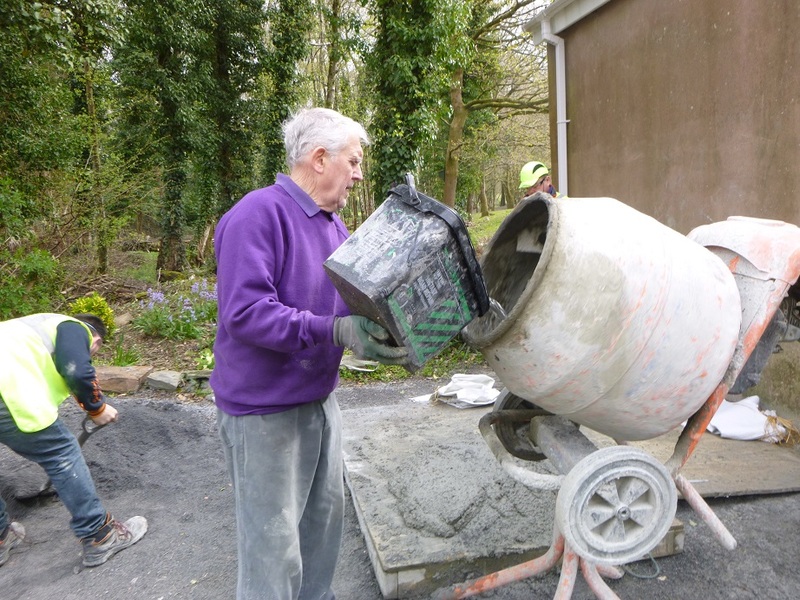 We were back in Coed Gwilym Park in Clydach this week and twenty-five volunteers came out on a gorgeous April spring day. 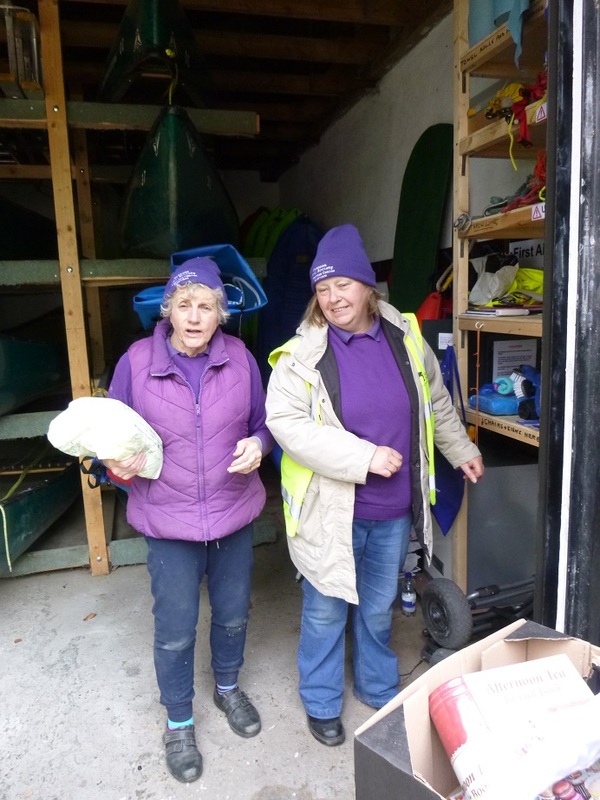 The primary task this week was to clean all the canoes and the canoe store in preparation for the canoe and kayak hire season which commences on Easter Sunday, 21st April 2019. Volunteers Gill and Ronnie were busy spring cleaning the canoe store and preparing the paperwork. 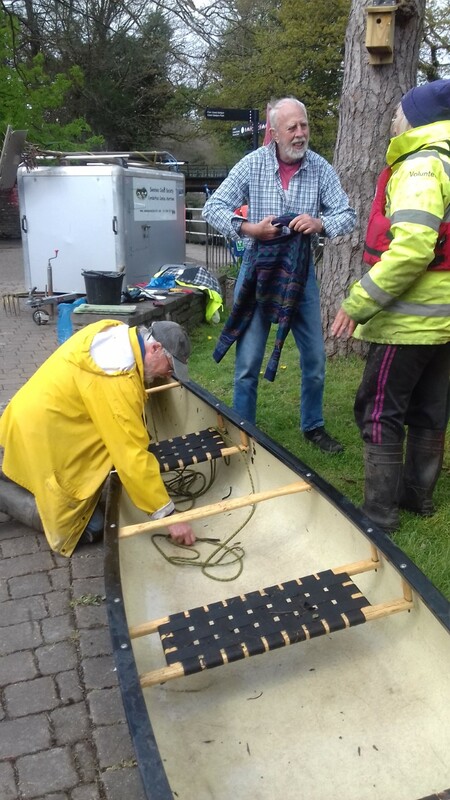 Volunteer Martin was energetically polishing up the canoes and getting them all spick and span. 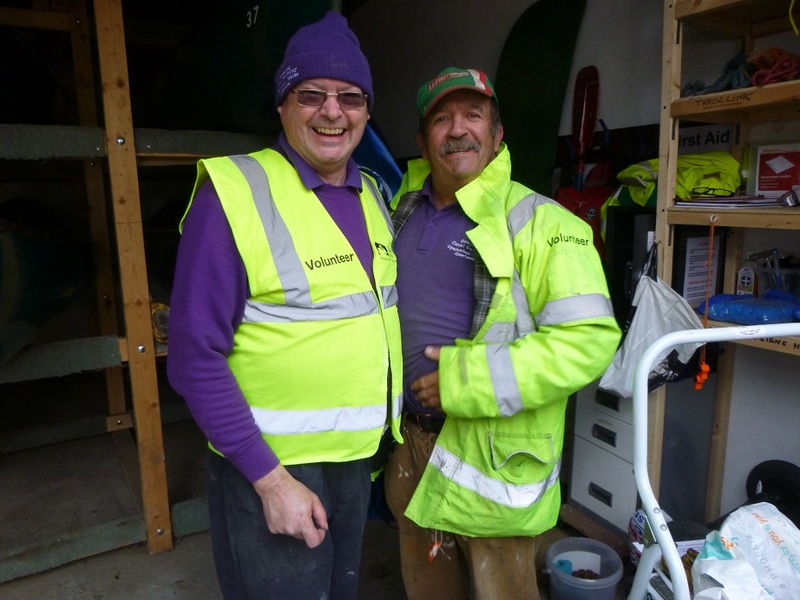 Mike and Gordon were obviously enjoying themselves and shared a good joke. Once all the boats were cleaned up and thoroughly checked it was time to get them safely back into the store. 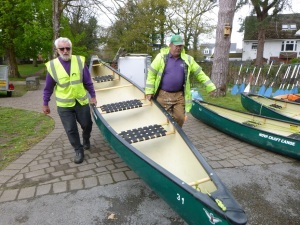 John and Gordon lift a spotless canoe amidships and get it stowed away. It is hard to believe that this boat, along with eight other canoes and fifteen kayaks have seen five hard seasons of hire. 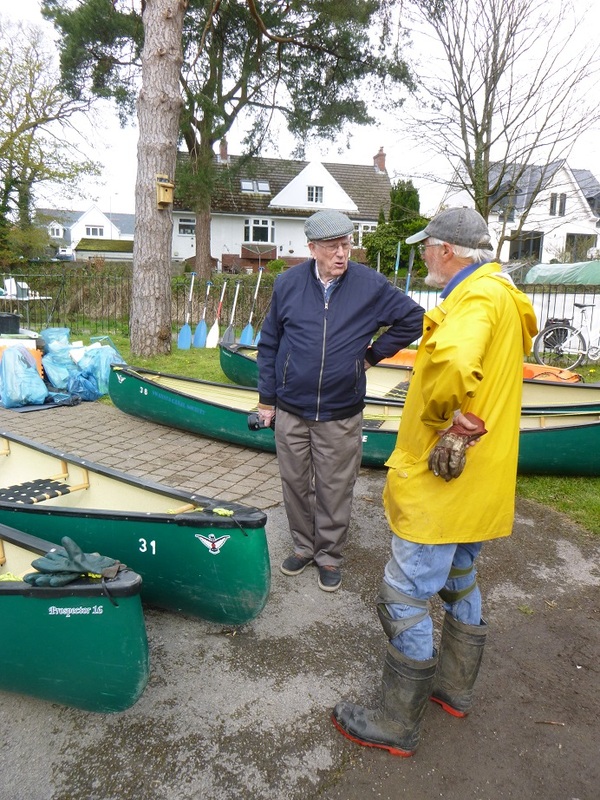 It is testament to the care that is taken by the society volunteers with these boats. 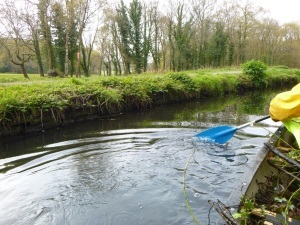 Work also continued with repairs to the canal bank just north of the park. The two Gareths were again on mixer duty. Gareth Jr. is seen adding a drop of water to get the mix just right. 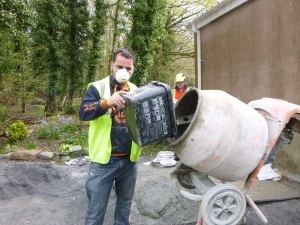 Good to see the face mask being worn for this job. 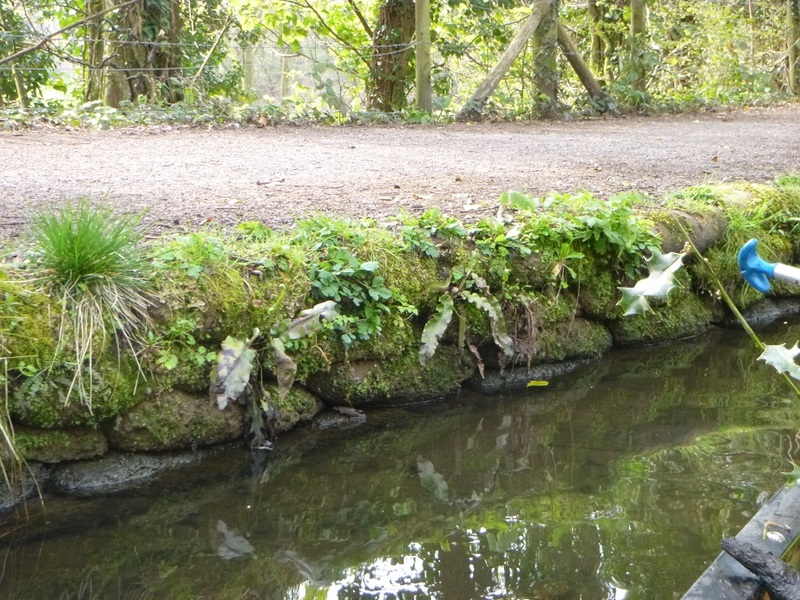 Good lad! 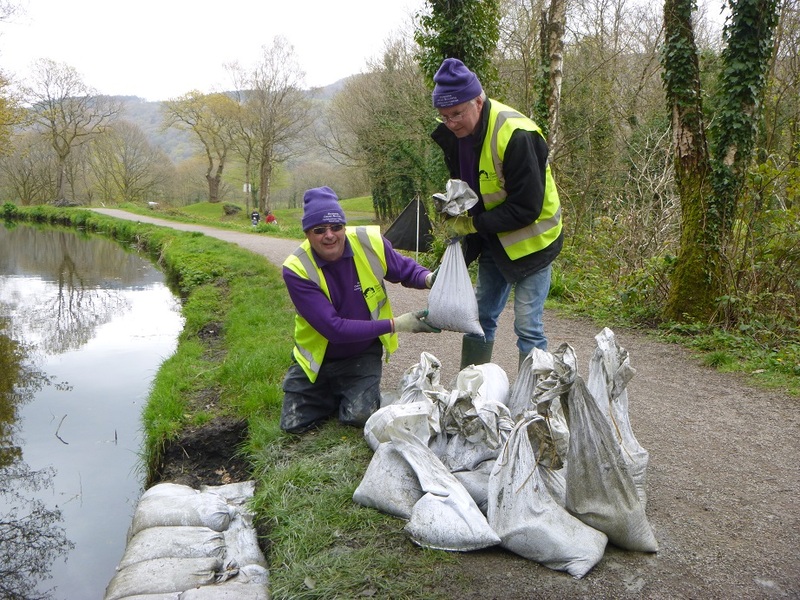 Mike and Alan were kept busy collecting filled bags from the mixer and building the foundation for the canal bank. The work proceeded another four metres this week, and sixty-five sand & cement filled bags were deployed. Meanwhile Alan paddled a canoe up the canal to do a thorough spot check for any debris or litter in the water. 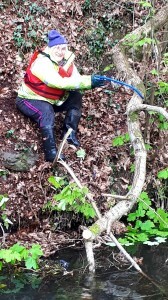 With assistance from Michelle, a rather large and hazardous overhanging tree limb was carefully removed. 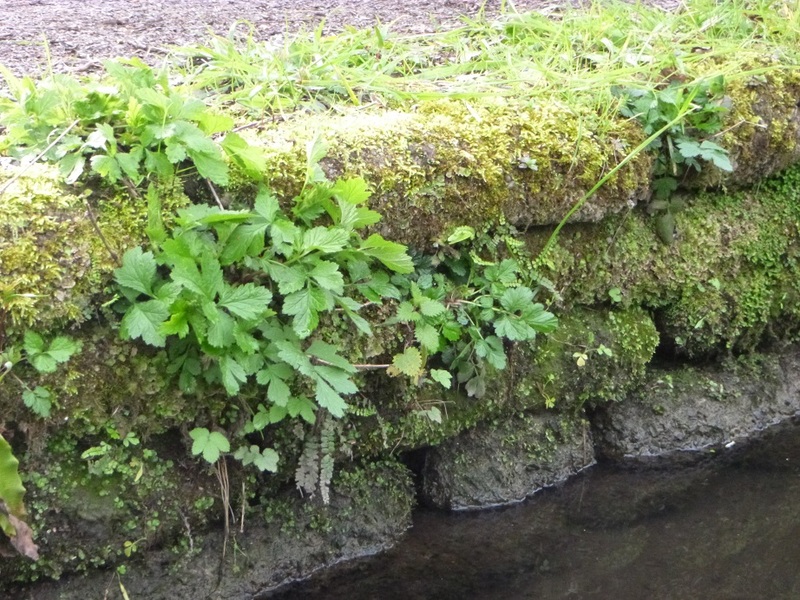 It is worth noting how the canal bank has weathered down and now supports a variety of wild plants and mosses. 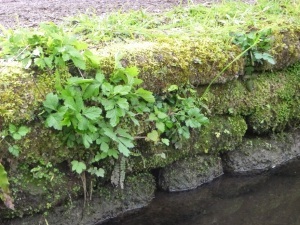 The current repairs to the canal bank will in due course look exactly this way too. Time for a break and everyone gathered in the park for tea, coffee and cake. 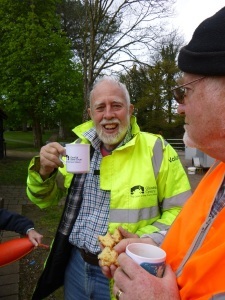 Hard working Mike ‘the litter picker’ enjoyed a warm brew and the enthusiastic banter. Martin had an opportunity to share a few words with a member of the Morriston Camera Club. 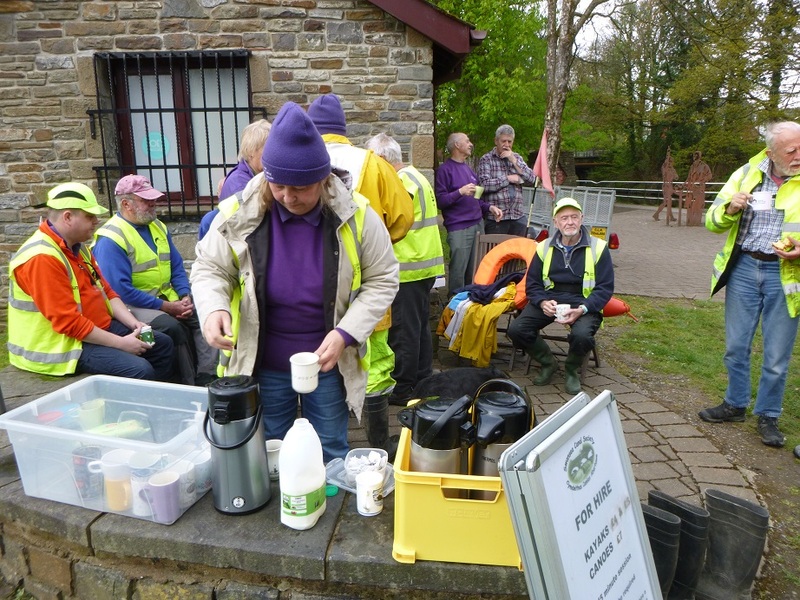 These amateur photographers often join us in the Clydach park. The quality of their photography is truly breathtaking. 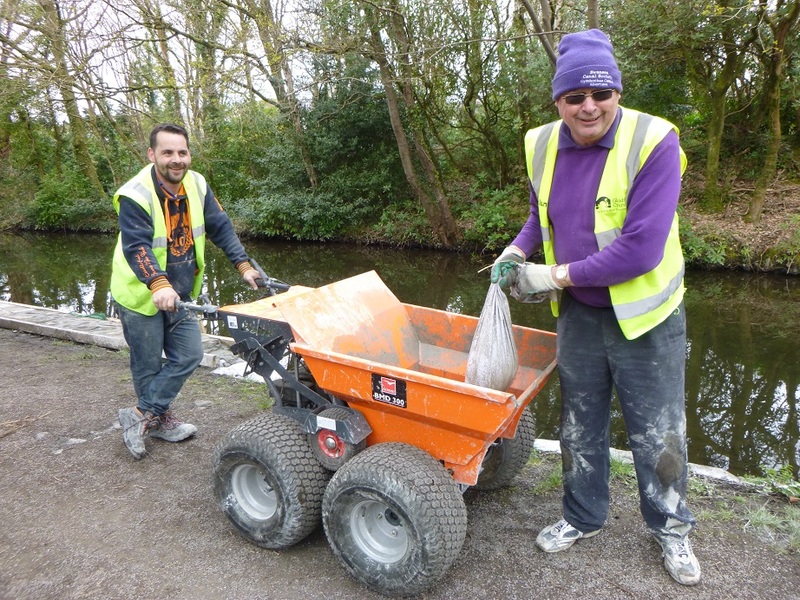 It was another very productive working party with plenty of opportunity for one and all to join in. 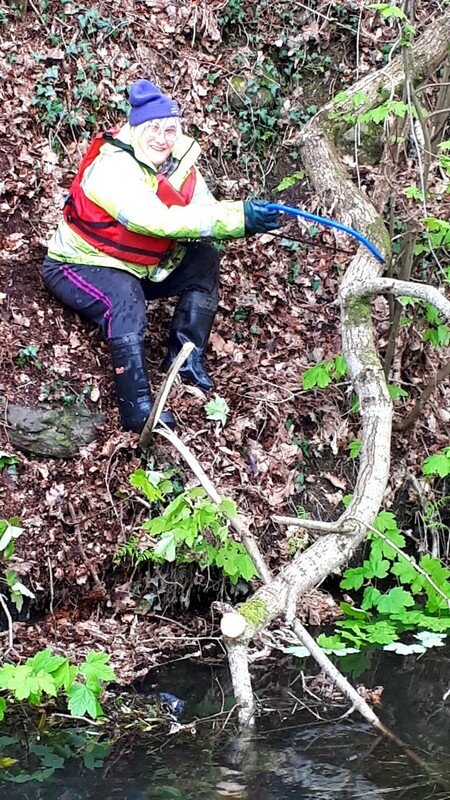 Many thanks everbody.